Lenovo launches the Yoga 3 Pro tablet in India, features a 13.3 inch display, Intel core M70 processor and runs Windows 8.1 OS. Lenovo has launched the Yoga 3 Pro 'ultrabook' notebook at a hefty price tag of Rs. 1,14,990 in India. The tablet is available exclusively via Lenovo Smart Connected Devices store and select Croma retail outlets across the country. 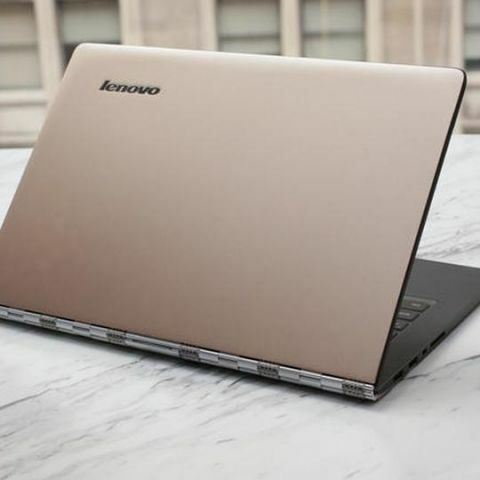 Lenovo had unveiled the ultra thin tablet at the CES 2015 in January. The Yoga 3 Pro is said to be 17 percent thinner and 14 percent lighter than the Yoga 2 Pro. It has a 13.3-inch QHD+ display with 3200 x 1800 pixels resolution. It has an Intel Core M-70 processor coupled with 8GB of RAM, and 512GB SSD. Connectivity options included are WiFi and Bluetooth 4.01. The tablet comes with JBL stereo speakers. The Yoga 3 Pro is backed by a 44Whr lithium-polymer battery which according to the company gives 7.2 hours of battery life. The tablet comes with Windows 8.1 64-bit or Windows 8.1 Pro 64-bit operating system options. The convertible tablet comes with a keyboard that allows the users to use the tablet in four modes – tablet, laptop, tent and stand. The Yoga 3 Pro is available in a champagne-gold colour. Earlier this month, Lenovo had launched the Miix 3 Windows 8.1 tablet launched for Rs. 21,999. The tablet has a 10.1-inch IPS touchscreen with 1920 x 1200 pixels resolution and comes with a detachable keyboard. It is powered by an Intel Atom Processor paired with 2 GB of RAM. The tablet has 32 GB inbuilt storage expandable up to 64 GB via microSD card. Which is a good 2 in 1 laptop( laptop+ tablet) in India below Rs.50000?